« New Year’s Resolution #1: Be Gentle. Mostly with myself. Only love can do that: MLK Day in Kindergarten, in Canada. And then #kinderchat happened. And my class started tweeting with kids all over the world. And a #kinderchat friend (probably @mattbgomez, but maybe @havalah) shared the link to Martin’s Big Words…. And I thought: “Huh. If they’re teaching five-year-olds this stuff, I can, too.” Martin’s Big Words helped give me THE WORDS I needed to teach them. And so, I taught my class of highly privileged, relatively sheltered, largely caucasian, Canadian kindergarten students about Dr. King. They talked about their learning with twitter friends all over the world. They were so PROUD to know about something so important, it brought tears to my eyes. I have taught about him ever since. When you think about it, everything a kindergarten student is learning is about WORDS: reading, writing, getting along with other people. All require WORDS. I’m not sure they always believe us when we talk about how IMPORTANT words are: to read them, write them, sound them out, USE them when they are angry. When you’re five, fists seem a whole lot easier than all these mysterious WORDS. But… Dr. King’s story is about how WORDS can change the world. The year that Billy was in my class, a phrase emerged from our class discussion about Dr. King: “The strongest part of Martin’s body was his words.” (I love that the kids are on a first-name basis with Dr. King. This charms me every year.) Billy was the kind of child who rarely used words. He used his fists, his feet, his fingers, knees, elbows, shoulders, for everything from expressing emotions to (sadly ineffective) attempts at connecting with others. Billy had the kind of mind that seems bottomless, where, once you slipped an idea past the still surface of his face, you never knew where, or when, or whether, that idea would make contact with anything solid. The strongest part of Martin’s body was his words. Somehow, Billy grabbed on to that phrase. He chewed on it like bubblegum, all day. When the kids wrote in their journals about Dr. King, that was the caption he chose for his picture. He initiated conversation about it at lunch with his friends. He muttered it to himself while he played with cars. Later, while I sat with him on a time-out (likely for a situation in which he had FAILED to use words), he repeated it. The strongest part of Martin’s body was his words. The next day, Billy’s mom reported that he had insisted on watching the Martin’s Big Words video with her that evening. He had made the whole family talk about Civil Rights at dinner. He wanted to go to the library and get more books about Martin. Remember, this is a five year old. A five year old with a face that usually barely registered a flicker of interest or emotion. I wish I could say that Billy stopped hitting after that, that Dr. King cured him. That would make a great story, wouldn’t it? But that is not the truth of things. There were many more rough patches that year. Hitting. Pushing. Rock-throwing. Pinches so sharp and sneaky that other children cried without any clue what had just happened to them. Months later, walking with Billy to get the milk for lunchtime. “Mme? The strongest part of Martin’s body was his words.” No greater context. This was the way with Billy. And then, yesterday morning, in my classroom doorway: Billy’s mom. 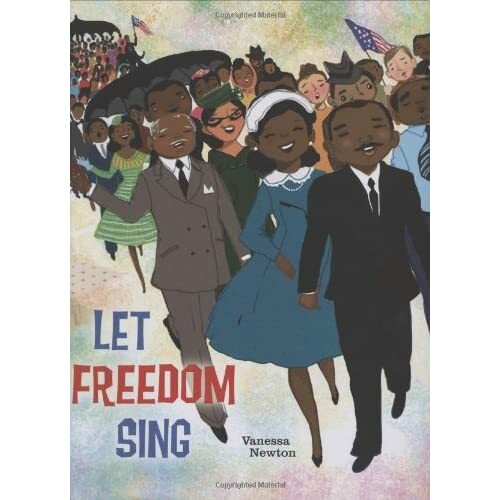 In her hands, 2 heart-breakingly beautiful, brand-new picture books, about Dr. King and the Civil Rights movement. And so, yes, I teach Canadian kindergartners about Dr. King. Because we never know which words will be the ones that break the surface, that reach the bottom, that make contact with something buried so deep you weren’t even sure it was actually there. Because the strongest part of my body is my words. What a beautiful post! Thank you for sharing your journey with us. Reading this I had some AHA moments of understanding. You gave me words. Thank you. 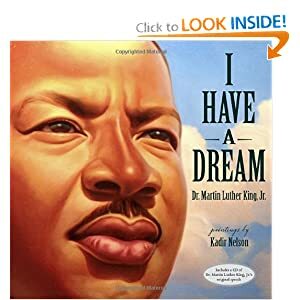 I taught about Martin Luther King this year for the first time to 5 year olds. I also used Martin’s Big Words and was blown away by how they connected to it. I thought it would be way to hard for them. One of the students in my class has serious anger and control issues, but he has spent a week talking about how when Martin Luther King was angry he used his words not his hands. A powerful lesson indeed. Beautiful, you made me cry. And gave me hope. Thank you for this Amy! You are right. It is not about teaching kindergartners the history but the power of his words and his character. Oh #happycampergirl I cried tears of joy, happiness and wonder. Martin’s Big words needs to be taught by everyone form Canada to Timbuktu! How else can we help make this a better place for the children in our care. You are amazing.